Our Free Microsoft Access Downloadable Tutorials demonstrate some of the more complex of Microsoft Access programming techniques. This is a new feature of our website. We will be adding new working Microsoft Access tutorial downloads on a regular basis so check back often. These free downloadable MS Access database examples contain all the visual basic code, tables, SQL query coding, modules and form templates you’ll need to implement each programming task. Even though we provide the exact code needed to perform many tasks in our Microsoft Access database tutorials, we often get calls requesting help on getting a particular feature to work. These downloadable database examples should help you out a lot. 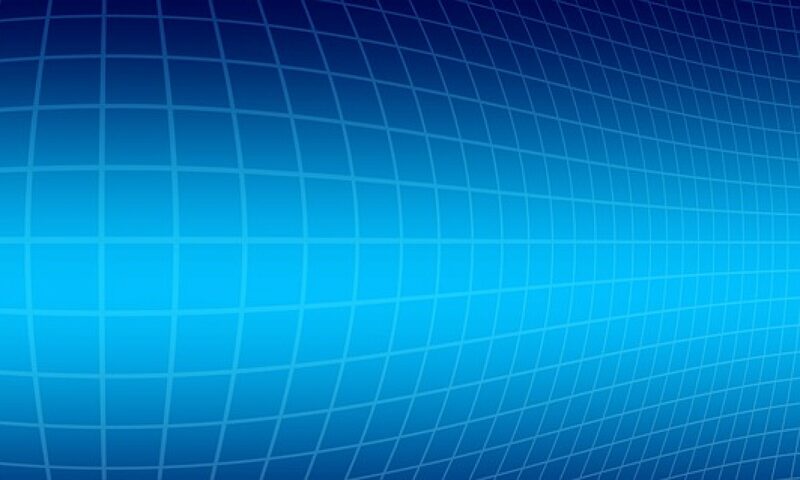 These database samples cover such topics as Emails from Access, VBA recordset operations, Combo box examples, and many more Visual Basic coding solutions. Add email automation to your Access databases with this coding example for Outlook application program. This demonstration database samples contains all the coding, forms and form fields required to send an email from Access to Outlook. See further details & download the example from here: Send Email via Microsoft Access. It is great to be sure that users logoff after they are done working on the database. You can’t be assured that backup will work properly for database files that are left open overnight. You also can’t replace a file remotely if it is open unless you shutdown the server – this is not always convenient. We have put the code found at Microsoft’s website (Logout Idle Users) and put it in a working database for you to download and play with. Here is a link to the download page:User Inactivity Logout Visual Basice Code. The startup options that are defined for an Access database determine how the database looks and how it performs when you open it. You can set the startup options by using the startup user interface or by using an Autoexec macro of within Visual Basic for Applications (VBA). We have created a little downloadable which will demonstrate one way to implement the function in VB: Disable Shift Key. Use multi-select list boxes to pass parameters to an Access query. Parameter passing is often a challenging programming task for novice Access programmers. There is no way to directly refer to selected items in a list box on a form. This Access program will demonstrate all the techniques required to provide you users to very flexible reporting capabilities. In this example we will demonstrate the use of an extended select listbox as a method to pass parameters to an Access query. The query can then be used directly or used as a data source for a report. Give themulti-select list box parameter query a try. Sequential record counters can be created using a couple of different techniques. Our goal in this free Access tutorial is to extend the concept so that the counter gets reset to 1 whenever one of the values in a particular column changes. The result is grouping of records by a particular column value and number these records 1 through n and starting over again at 1 when the value changes. Download the free Access example for sequential counter in Access queries. Row-Level data security is a standard feature of large database management systems. Specific conditions can be set for each record and each field of a table in Oracle and Ingres. We you go as far as defining from which computers changes can be made and even the time of day or day of week. All of these capabilities can be fairly easily added to a Microsoft Access database through the use of queries (or views) of the main data tables. Review our downloadable Access database which demonstrates row-level data security. Some would think that managing parts inventory would be a piece of cake to program using Access forms. But how will your database respond to a user changing the quantity that was previously entered? Do you know how to trap the original value and perform the inventory calculations correctly? It really is simple once you see our method for performing inventory removal when creating customer purchase orders. Look at the visual basic code behind the forms and you’ll see the simple trick. Learn more about & download the Inventory Calculations Access example. When using MS Access in a multi-user environment the programming code must handle the situation when records are locked by other users of the system. You wouldn’t want an inventory calculation to get applied only partially or be totally missed. The code demonstrated in this downloadable example shows how to sense and manage locked table records. See further details, and then download our Microsoft Inventory Calculations database download. Tired of dealing with joining Access Work Group Administration? Sick of losing an .MDW file have being unable to get into your Access databases? 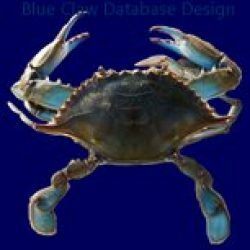 At Blue Claw Database Design we never had to deal with these cumbersome methods of database security implementation. We developed our own simple alternative to the standard Microsoft Access security system. After all, you can’t really lockup an Access database so that it is secure enough to handle such simple tasks such as election vote counting. So why go through all the heartache of setting up security system when it is nearly useless anyway? See further information, and then download an example of our Access Database Download for Security Alternative. We have a lot of visitors reviewing our MS Access dependent dropdown list box example in the Combo Box section of our tutorials. Once you see the secondary combo box in action you’ll find it easy to construct in your database forms. From this simple example you can extend the code to make the dropdown list dependent on multiple text fields or dropdown lists and cascade the dependency through each combo box. These features make your forms easier for the data entry person to use. See further details about the synchronized dependent Combo Box Microsoft Access shareware download. Our Union Query Example demonstrates a method used to add additional choices to drop down lists such as New or All. Using the New choice in a combo box makes the user interface a little more user friendly. This feature can be combined with the standard not in list event handler for adding new items to the list. Go to ourAccess Union Query Example detail page. Moving on to more advanced union query concepts. In this example we are using the union query command to retrieve records from a table and at the same time retrieve summary records intermixed with the individual data records. At some time you may have received a request to export data from an Access database and were requested to including the Min Max and Avg values in the same data set. This is impossible isn’t it (without doing recordset operations in visual basic) – not so – by using the union query you can mix and match aggregate and individual data records in an almost limitless fashion. See further discussion about our Advanced Union Query Microsoft Access download. The combo box Microsoft Access download example demonstrates the simplest method available to fill in multiple fields on a form using a single combo box selection. The method involves retrieving the secondary information with the combo box and then setting the control source of the text fields to point to the secondary fields of the combo. Click here to see further details and to download the Combo Box Form Fields download example. Here is a great download which will save you a ton of time learning about using global variables as parameters in queries and reports. All the tables, forms, queries, modules and reports are included in the comprehensive Access database download. One note of caution when using global variables in an Access database – If you have an unhandled error condition occur, where the error popup asks to Debug, End, or Continue, then you’ll likely lose the values of the global variables and you can lose the global variables completely. Therefore it is important that you create error handling in each of the functions and subroutines. See more details about the global variables as parameters Access download shareware database. Hot off the Blue Claw presses… the dependent combo box on a continuous form. If you are searching for this continuous form combo box solution then you came to the right place! This database download demonstrates a trick to get the continuous dependent combo to appear to work. Note that I didn’t set the tab order correctly – when you fix this then it should work well enough to use in your Access databases. See further details and concerning the continuous forms with dependent combo box sample database download. Access often gives you an error when you try to have two forms, one dependent, and request that both be continuous forms (multi-record layout). Here we have a working database showing continuous-continuous forms with a very simple implementation. There are two layout placements for the detail form. The Microsoft Access download shows both techniques. See further information and download our Master-Detail Continuous Forms tips & tricks example. Open up an email from a button on a form and populate the To: field and Subject fields. This example database shows you a simple trick to open up a blank email from a Microsoft Access form. The code makes use of the DoCmd.SendObject along the with AcNoObject option. We get this command to work by giving the sendobject an empty report to work with. Review additional technical information and download the Create Email Example. Here is a feature we always wanted to try but had to wait for a rainy Saturday to have time figure out the programming – Bar Charts/ Bar Graphs on forms. The code in this demo gives the basic instructions to create a bar chart from a database table. There are likely other methods and we know this code could be streamlined by cycling through the form objects to adjust the height and position of the bars. However; we did not want to make the demo too complicated. See additional information and download our Bar Graph Example database. Count up data based on the value of a field in your tables and transform the field value into columns headings. Simple! See our crosstab query downloadable example and also see how we create a simple crosstab showing sales data totals with item type as the column headings: crosstab query example database. In this downloadable example we will work with the acformattxt (text) output method. We output the data contained in our inventory table named “M_Inventory”. The 2nd example in this Access database download is the DoCmd TransferText method. Here we use an Export Specification defined in the export text wizard. In this Access database download we demonstration how to use the docmd.openform method in Access VBA. Also, we show how to set and read the open arguments (openargs) option of the docmd.openform method. See further details about the example and download the OpenForm Access Database Download. Did we invent something new here? Probably not but it is our original thinking. In the running sum calculation method we use a global variable and a call to a function to calculate the running sum. This solution works very well for Access reports with running sums or exports of data. A few other techniques need to be added to use the running sum query as a recordset source for a form. See all the details and download the SQL query running sum calculation example. The Access SQL Choose function query can be used in many parts of the SQL query statement. The alternative to using the SQL Choose command is to write many lines of VBA code in the report or behind the parameter form. Our database download example shows how easy it is to setup dynamic order by clauses using the choose function. Click this link to read more information and download the SQL Choose Command example. Great addition to your Access database user interfaces – create popup forms for supplemental information and give the user control of the popup. Automatically coordinate the popup form data and characteristics using simple Access Visual Basic commands. Read further information and then download our Access Download for Popup Form Controls. If you haven’t found the download you are looking for take a look at databasedev.co.uk’s Downloadable Microsoft Access Examples. If you have arrived at this page directly you may want to see an overview of our services at our Microsoft Access developers’ home page.